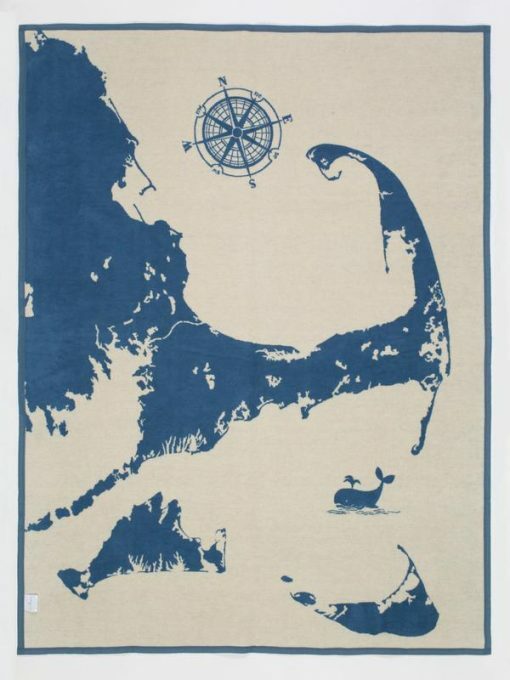 Cape and Islands is one of our most beloved and charming blankets. Cape and Islands is one of our most beloved and charming blankets. It features a woven image of Cape Cod, Martha’s Vineyard and Nantucket all set on a background of ocean blue on one side or cream on the other. 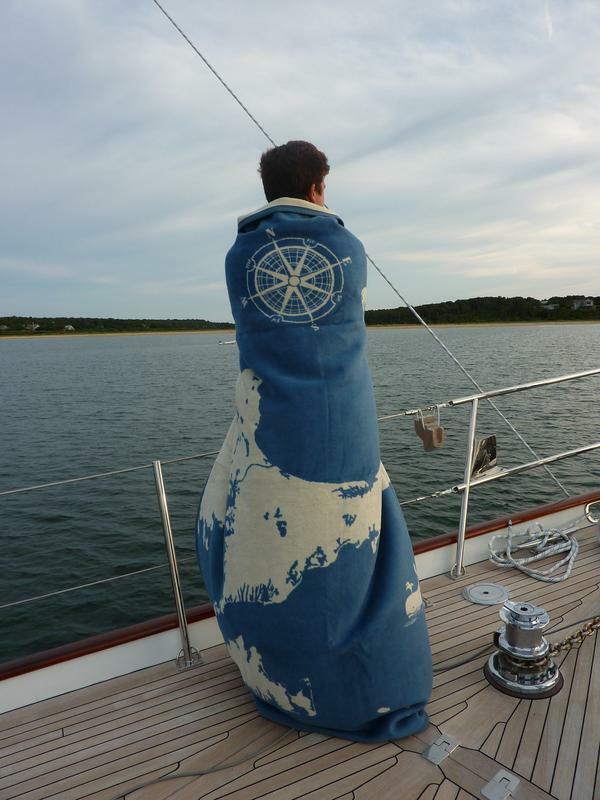 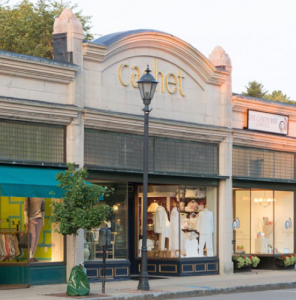 Our oversized blankets, like our Cape and Islands, is large enough to cover a twin or act as a blanket topper for the end of your queen or king bed. 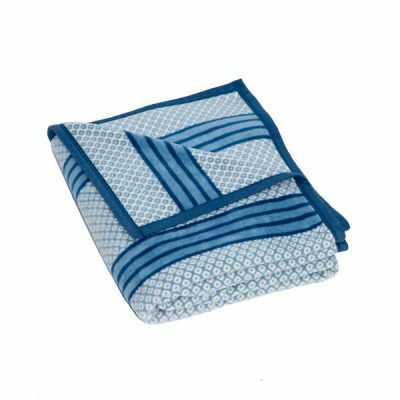 ChappyWrap’s unique jacquard woven designs are used to create beautiful and reversible throws. 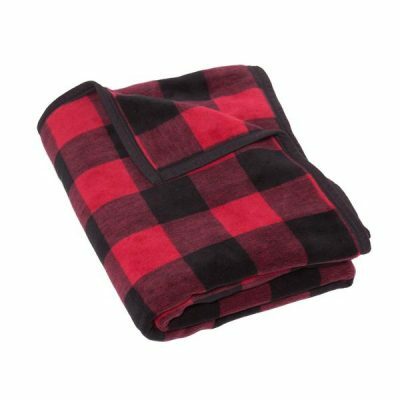 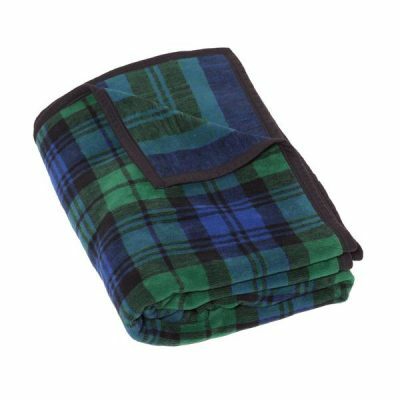 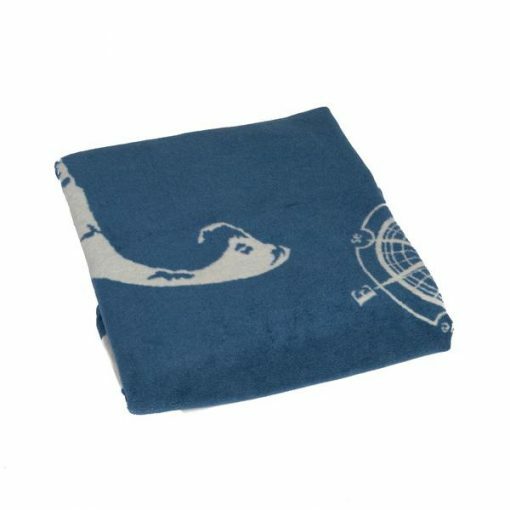 Every blanket is machine washable and will never pill or fuzz due to the natural fibers and exceptional cotton blend. 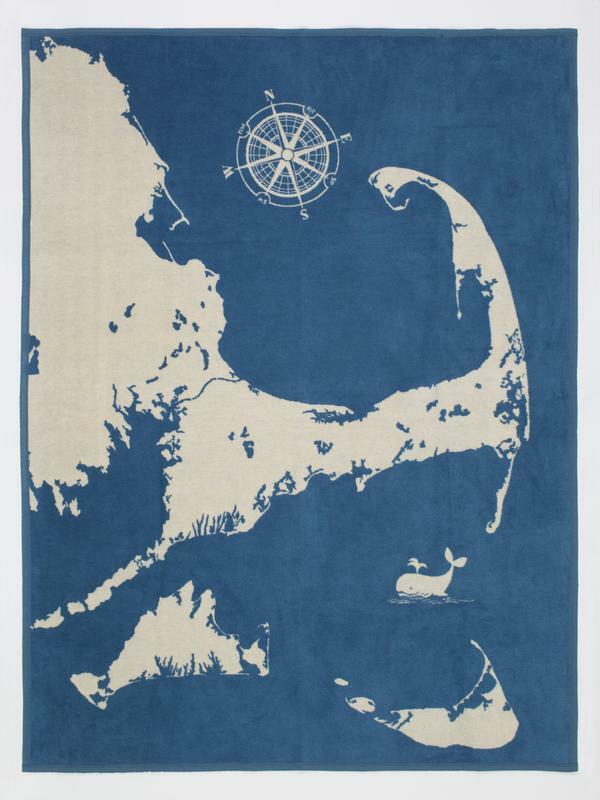 Our Cape and Islands Blanket is meant to highlight our love of coastal living while offering plush warmth and a charming design. 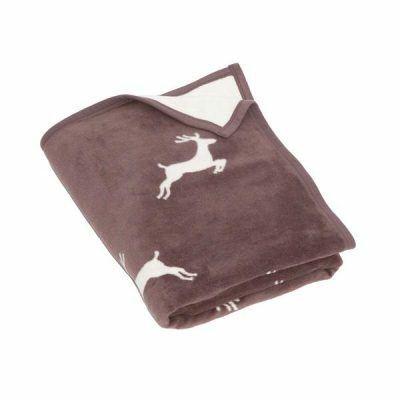 Wrapping yourself in a moment, either with family or a loved one, has never been more comforting than with ChappyWrap’s oversized blankets and throws.